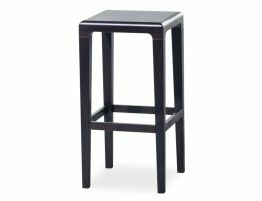 This solid timber barstool, seen here in a sleek and contemporary, rich coffee natural finish, is yet another superb furniture piece from European furniture auteurs, TON CZ. The Seville barstool is the design of highly inventive German design partners Alexander Grimm and Ronny Eysser. 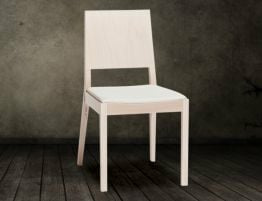 The Seville solid wood bar stool shows us that when you gather solid designers, quality natural materials and a manufacturer known for their commitment to quality, you can end up with a truly exceptional piece of furniture. Collaborating on the design of the Seville barstool, designers Grimm and Eysser left no detail of this modern kitchen barstool unattended to. The terraced province of Seville, Spain is the inspiration and namesake for the Seville barstool. The look of our solid wood bar stool was influenced by the stepped Spanish province and Seville is among the leading wine regions in the world. The region was an inspiring beginning and a fitting muse with both the inherent splendor of the landscape and the always flowing wine. Maybe Eysser and Grimm created the Seville wood barstool for no other purpose that providing wine enthusiasts with a comfortable and nice looking barstool to sit upon and enjoy the many varieties of vino Seville offers. The Seville bar stool offers the very pinnacle of design, solid beechwood and impeccable European workmanship thanks to European furniture company, TON CZ. The Seville solid beechwood barstool is pictured here in a rich coffee finish and offers a rounded edge, smooth surface on which to sit. This solid wood, coffee finished barstool offers on trend modern design, worthy natural materials and the utmost care in construction. 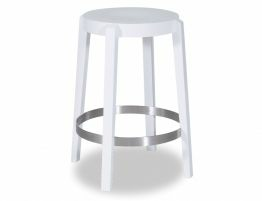 At a height of 65 cm, this kitchen barstool is the appropriate height for most home uses like as a breakfast barstool, kitchen counter stool or for your island seating area. 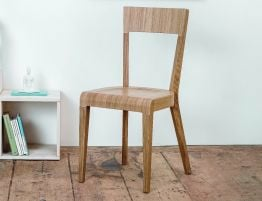 The contemporary, coffee finish is displayed here, however, the Rioja solid wood barstool is also available in a whitewash finish, a walnut finish and a natural finish. For commercial barstool needs like restaurant cafés coffee houses, cafés, taverns and bars, the Seville commercial barstool is also available in an 80 cm size option. Bring a little bit of that storied Spanish province, the Seville to your stylish kitchen.